What gets you spitting mad? A housemate leaving the sink full of dishes…a catty coworker’s snide remarks…a fellow driver who cuts you off and then flips you the bird? 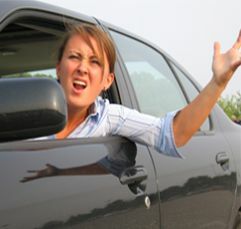 It’s understandable if such aggravations spark automatic angry outbursts—but blowing up may only make you feel worse. That’s why I want to share the news about a lightning-fast technique that helps calm emotional firestorms—a technique that takes a mere six seconds. I heard about it from neuropsychologist Marsha Lucas, PhD, author of the new book Rewire Your Brain for Love: Creating Vibrant Relationships Using the Science of Mindfulness. Dr. Lucas told me that this six-second method shares many similarities with mindfulness meditation, a practice where you simply notice your mind’s busyness without getting carried away by it. Why it works: Research shows that regularly practicing mindfulness meditation alters connections and pathways in the brain, actually changing the way the brain functions. For instance, meditation helps the prefrontal cortex (one of the main brain areas involved in thinking and impulse control) get better at detecting what’s going on in the amygdala—the panic center where fear, anger and aggression are registered—and bathing that hair-trigger amygdala in soothing neurochemicals. In other words, Dr. Lucas explained, meditation develops a better “anger pause button,” helping calm things down. • First, choose an external cue, something that happens around 10 times a day—for example, turning on a faucet or checking your e-mail. Every time that cue occurs, use it as a reminder to do the exercise. • Silently say to yourself, “My mind is alert, my body is calm,” and inhale through your nose for a slow, easy count of three. Imagine your breath coming up from the bottoms of your feet and traveling through your legs, abdomen, chest, arms and shoulders…and invite a pleasant feeling of warmth to flow through your body. • Then exhale for a relaxed count of three (or even four), letting your face, jaw and neck go loose. Allow that warm feeling to flow downward…imagine it carrying away any tension from your head, trunk and limbs and sending it out the bottoms of your feet. When you’re done, gently resume your normal activity. What to expect: With a regular practice of mindfulness, in a few weeks, you’re likely to notice a reduction in angry fireworks…and a growing sense of emotional resilience, balance and calm.